Having an inspirational bedroom is one of the easiest ways to make yourself feel a lot more comfortable and at home, especially in a new living space. Although the bedroom is mostly a private space within the home, it doesn’t mean that it shouldn’t be creative and attractive. In this edition of homify, we have a look at 10 fascinating and aesthetically appealing bedrooms, each more dreamy and elegant than the next. So whether your bedroom is quirky and funky, compact and chic or if you’re looking for inspiration to add style to your kids’ bedroom, we’ve taken all your bedroom factors into consideration. Now, let’s plan your escape! 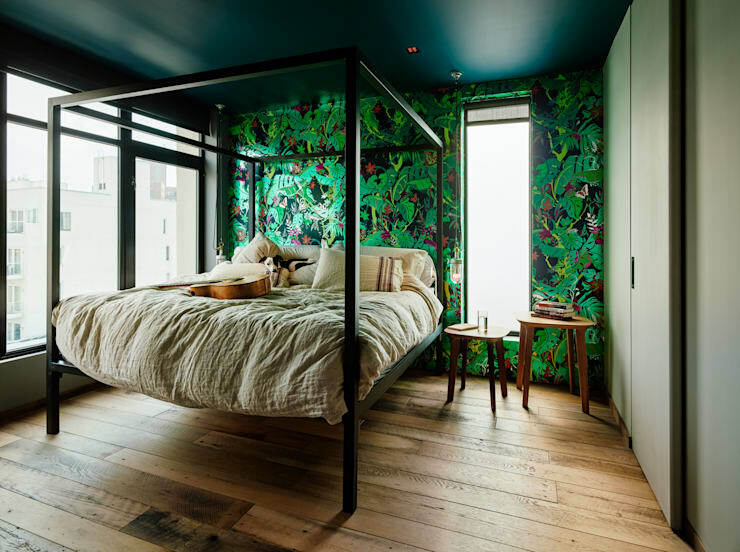 This green inspired design is a great way of adding bright decorative wallpaper into your bedroom décor. 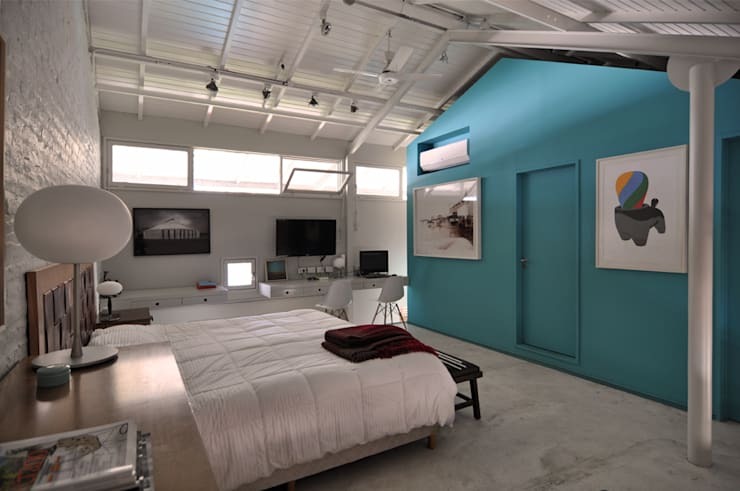 It creates a balmy, tropical inspired design that is tranquil and simple, while the poster bed, neutral colour bed linens and plush pillows, along with the wooden floorboards and painted deep green ceiling painted adds an exotic element to the bedroom. It’s like you own private, tranquil paradise. This natural wood and simple colour bedroom is a fantastic choice if you would love to showcase your artistic flair. The canvasses add a personal touch of chic style to a room filled with natural wood and sensual textures. The large bed adds value to the relaxing and serene space, making it cosy and comfortable, especially when paired with all-white walls, ceiling and floor. It’s like sleeping on a cloud. What better way to create a holistic and inspirational room for your child then by adding bold and colourful details to the walls? Go for a tidy design that has ample storage, as well as a defined study area. 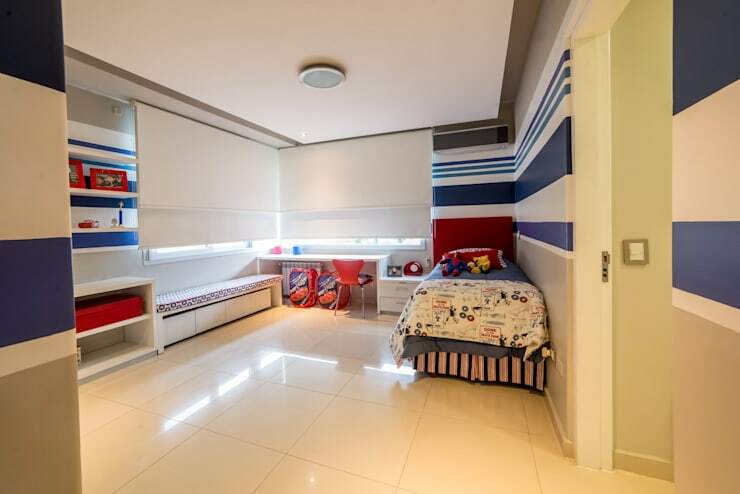 It is important to consider a theme or room design that will stand out, while also being tasteful and trendy for many years, and adaptable to your child’s growing mind and evolving age group. There’s nothing quite like antique inspired furniture, luxurious textiles and rich colours to appeal to your romantic side in your home bedroom. 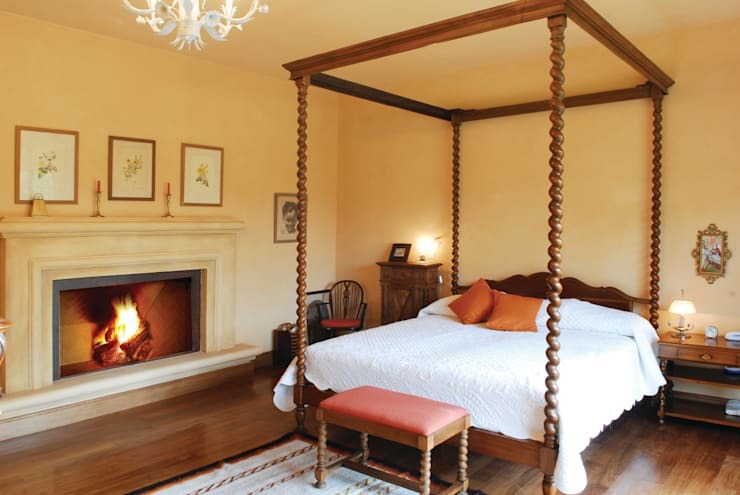 The interior designers of this beautiful bedroom, opted for a wooden poster bed, comfortable and cosy colours, as well as the fireplace that has been perfectly incorporated into the design, in order to create a regal atmosphere, while the hanging chandelier completes that inspired palatial design in lavish opulence. This grand bedroom is excellent mix of elegant design, as well as sensitivity to textures and colours. The walls are a luxurious and country-inspired terracotta tone, while the wooden aspects and stunning antique furniture adds an authentic touch. 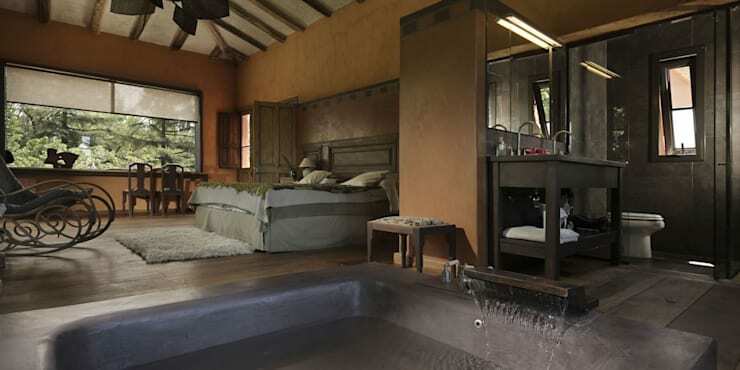 The incredible bathroom is a mixture of wood, glass and ceramics, maintaining an overall rustic appeal. 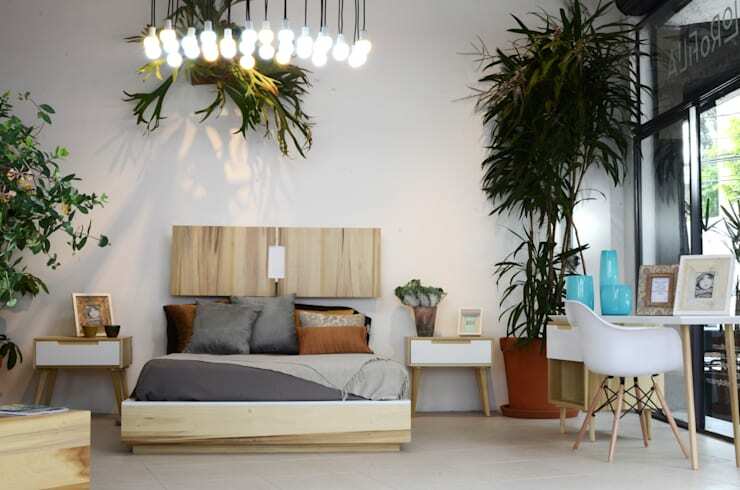 Another sensational idea to create a more attractive and special bedroom design is by incorporating plants into the space. Plants are especially great to freshen the air and aid in better sleep, while also adding a fascinating burst of colour. Complete the look with some striking lighting, unpainted wood and your room will look clean and contemporary. 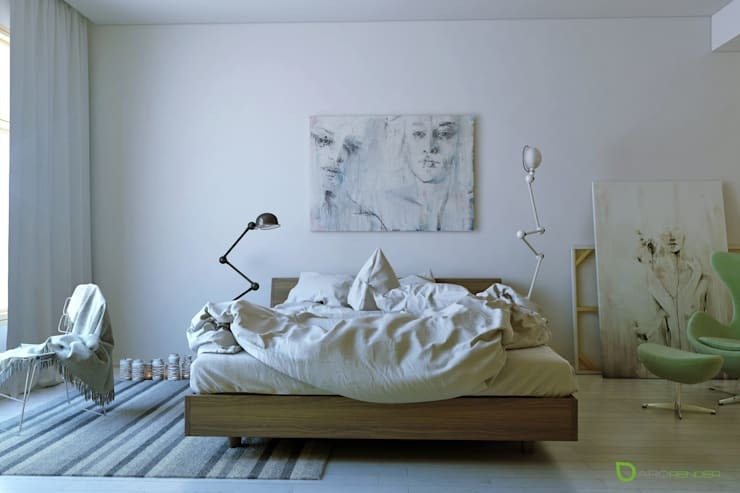 This simple and brightly-lit bedroom is absolutely gorgeous. The natural sunshine adds a spectacular effect to the dreamy and gorgeous design, while the chandelier and sheepskin rugs adds a welcoming and warm effect, which is enhanced by the candlesticks, antique framed pictures as well as covered armchairs. This room is the ultimate celebration of shabby-chic décor. Wouldn’t you just love to wake up to a view such as this? 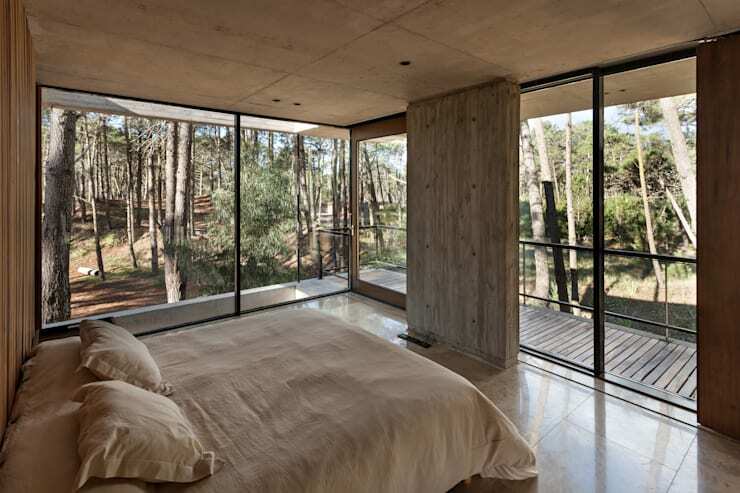 The incredible forest surroundings that are accentuated by the large windows create a dreamy, woodland escape that is enchanting and mesmerising. While the natural wooden surroundings of the exterior are welcomed inside too neutral colours adding to the cosy effect of the bedroom décor. 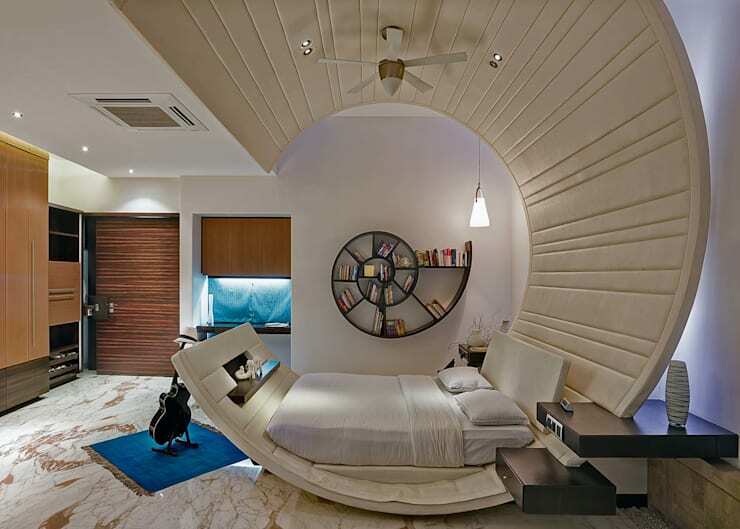 Have you ever come across a bedroom that is so fascinating? The quirky seashell bed is different, but definitely adds character to a bedroom décor. The subtle colours and practical design is sophisticated and attractive, while the built-in side tables are a great modern element. Still looking for bedroom style ideas, but don't know where to begin? Here are: 12 common bedroom design mistakes that are easy to avoid. Do you have a favourite bedroom decor idea?